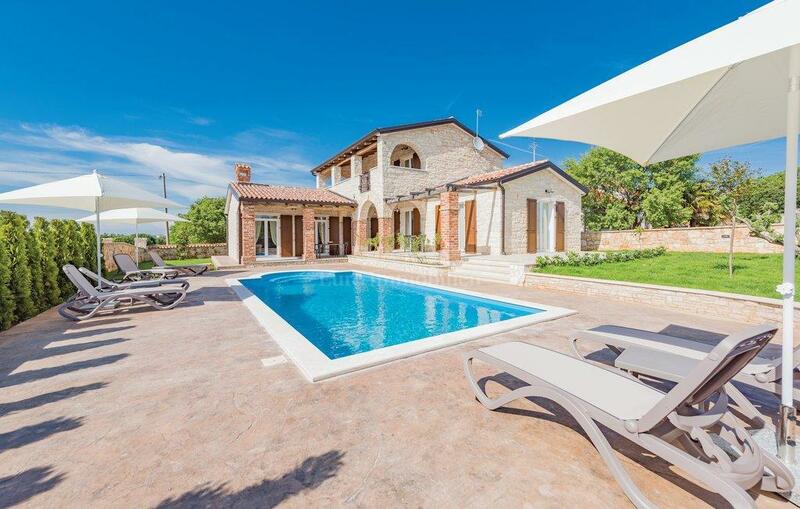 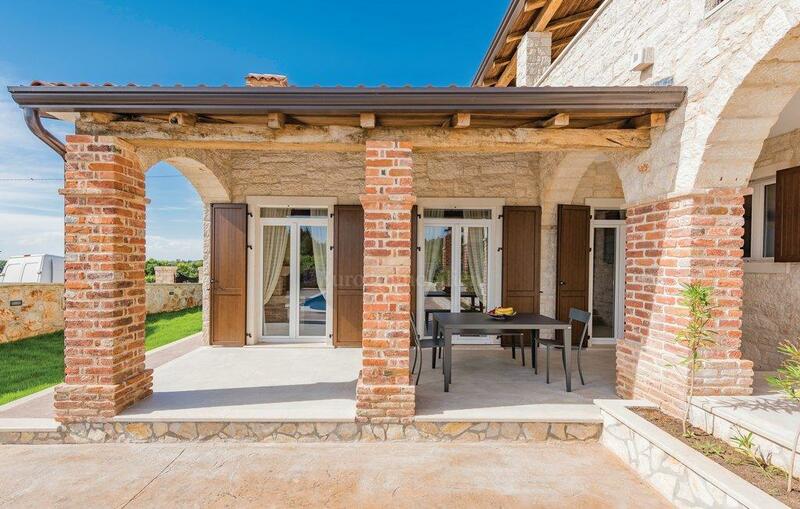 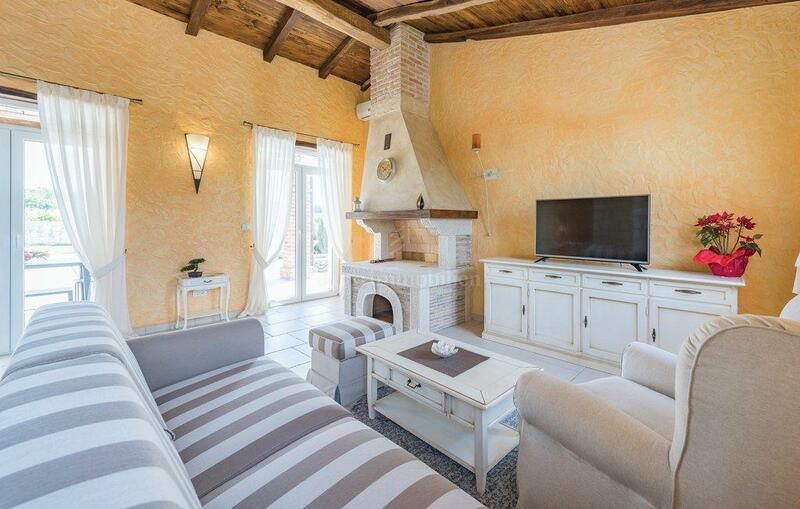 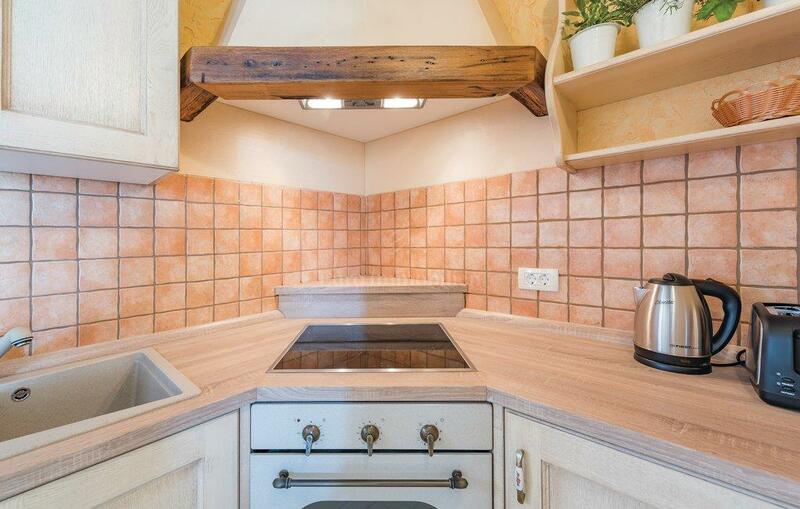 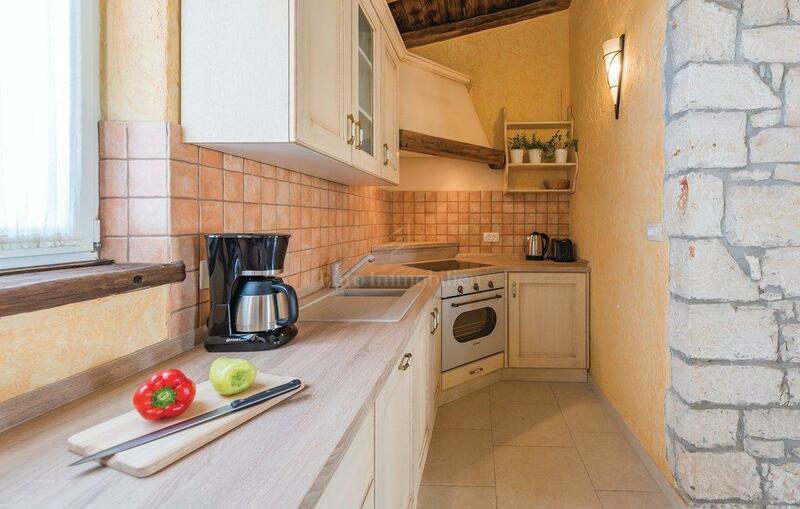 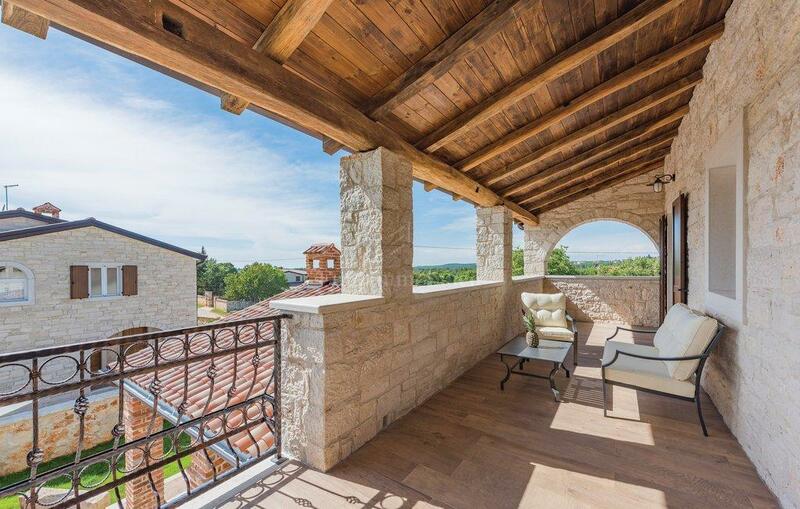 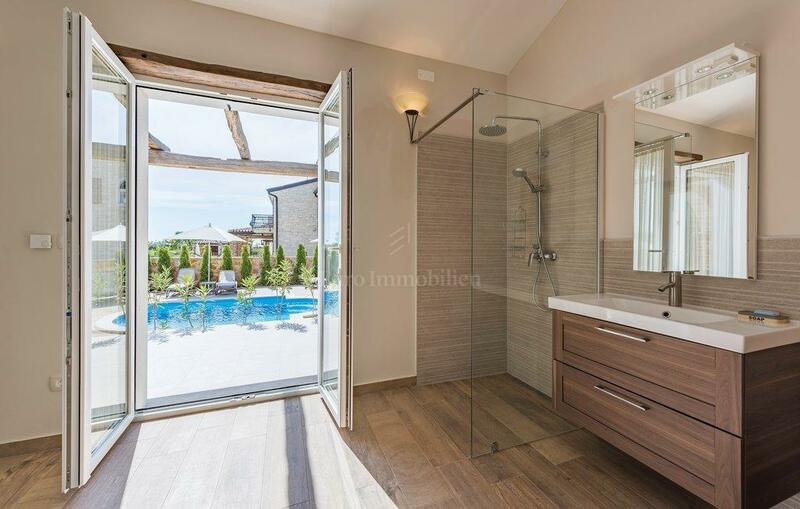 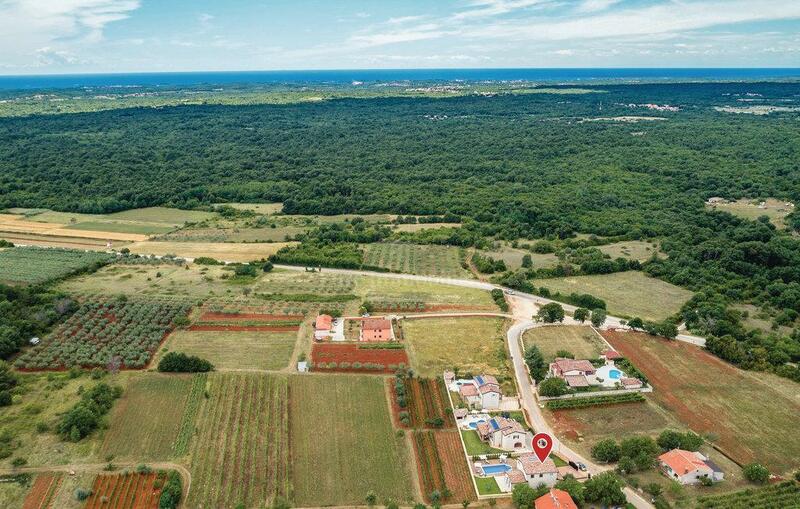 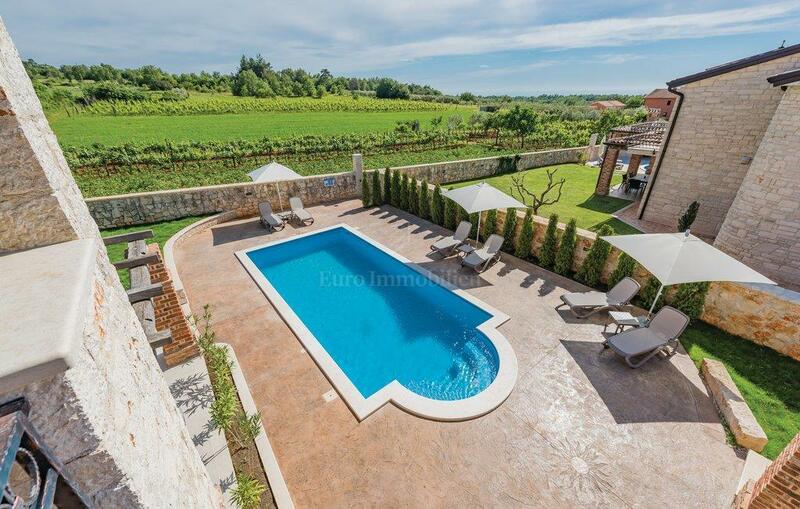 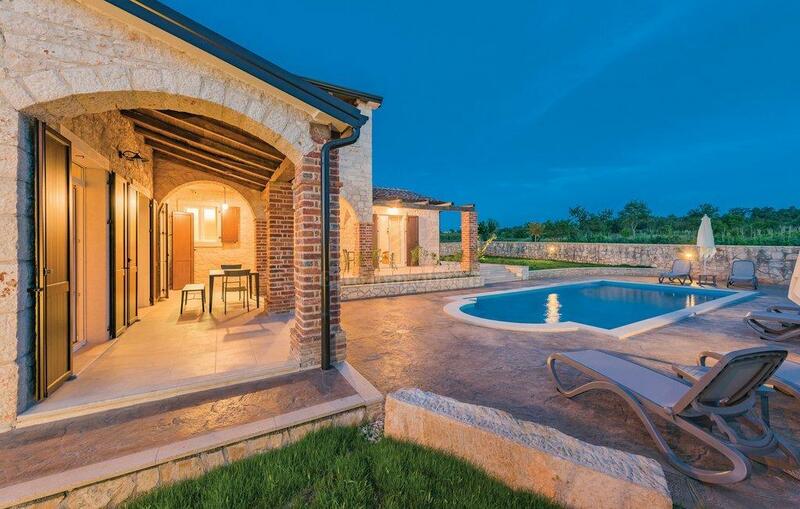 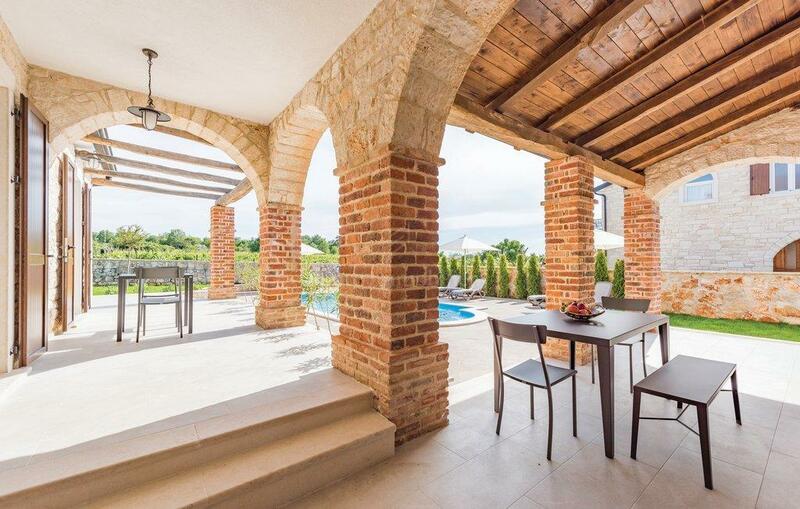 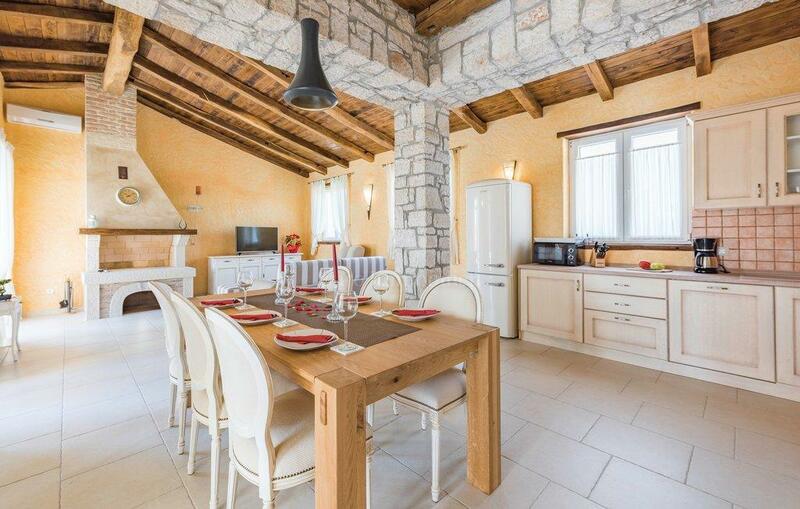 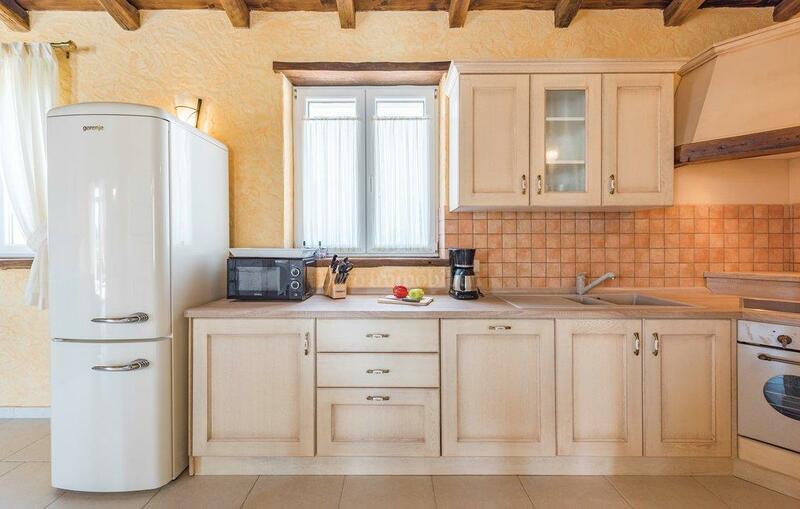 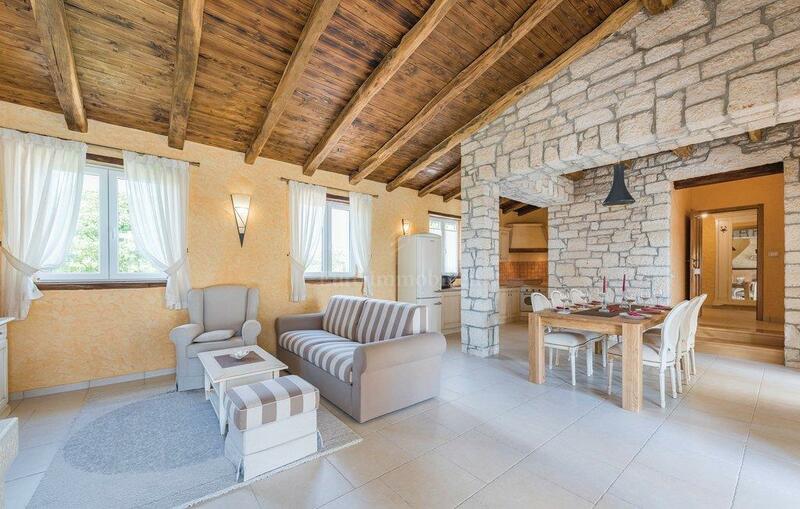 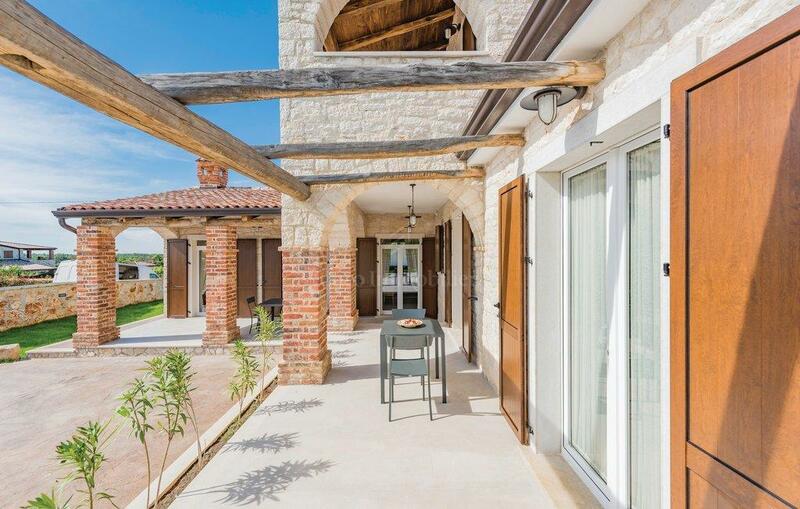 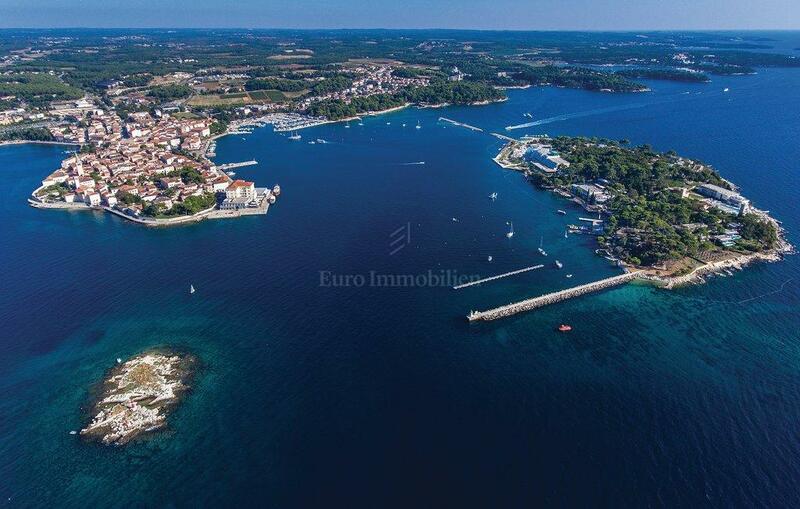 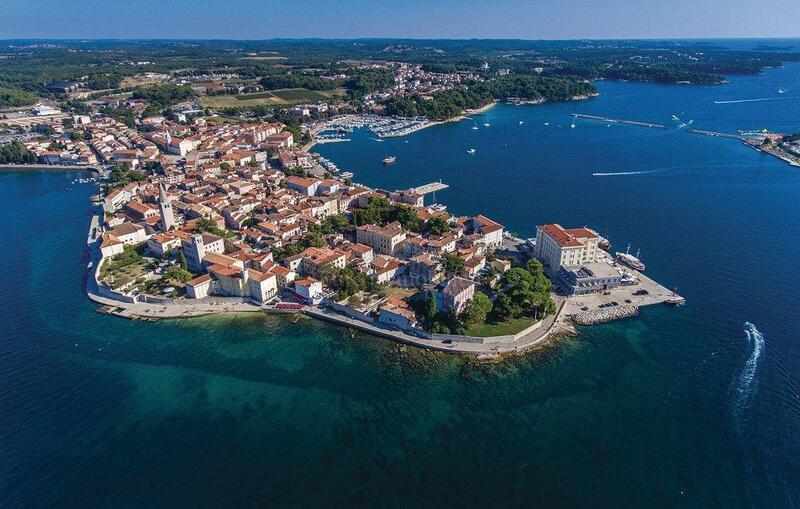 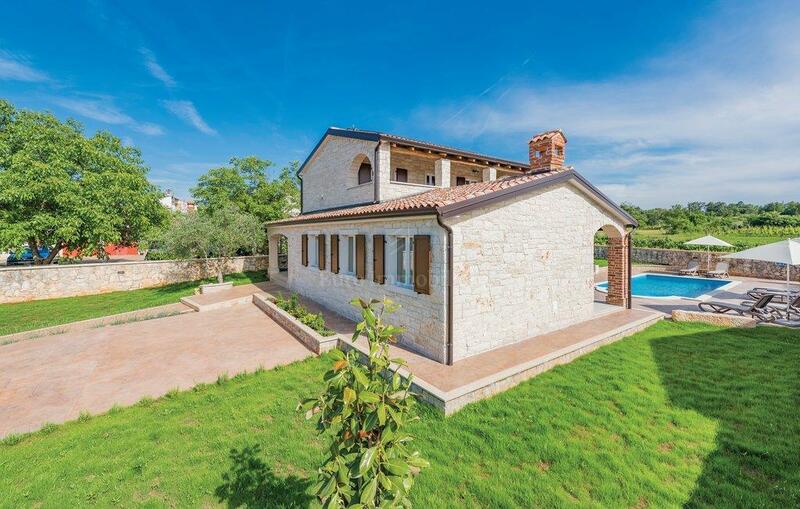 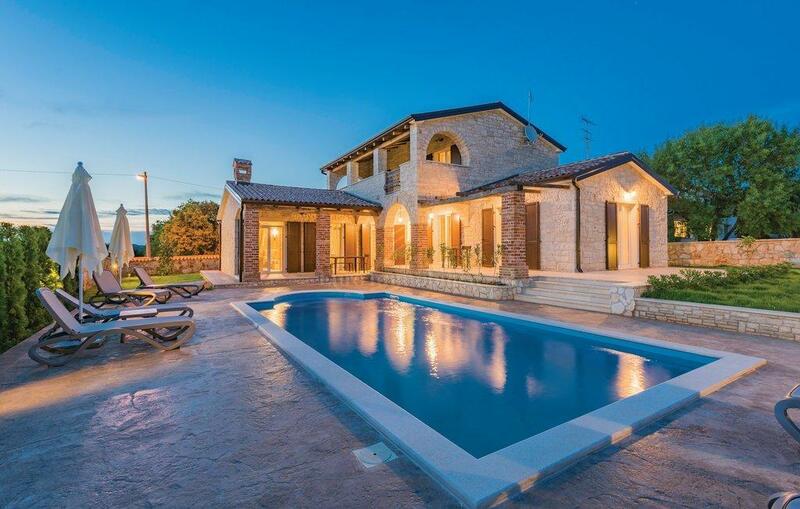 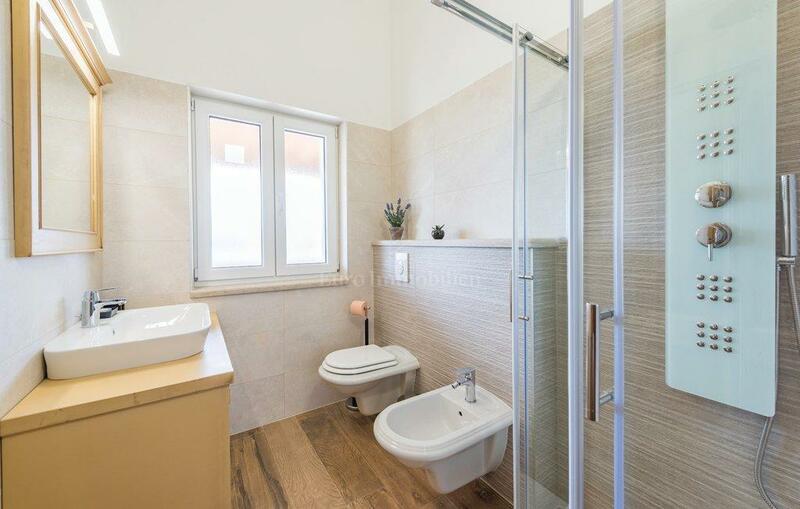 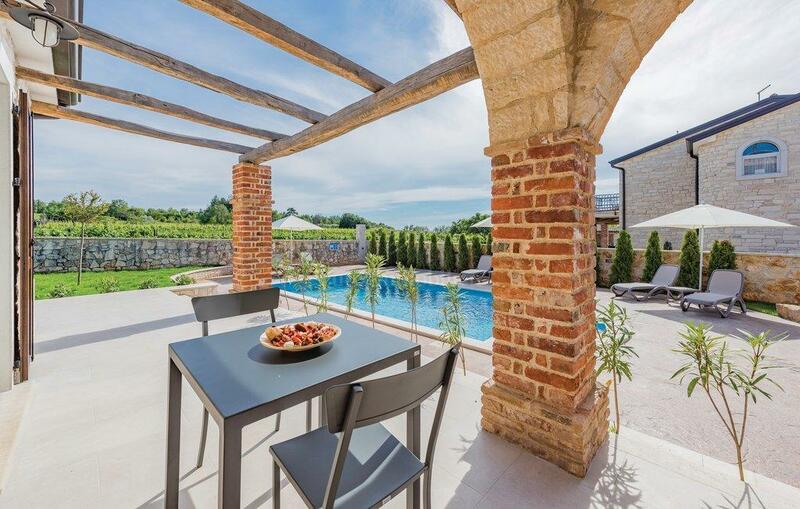 Near Porec there is a new stone house built in traditional Istrian style. 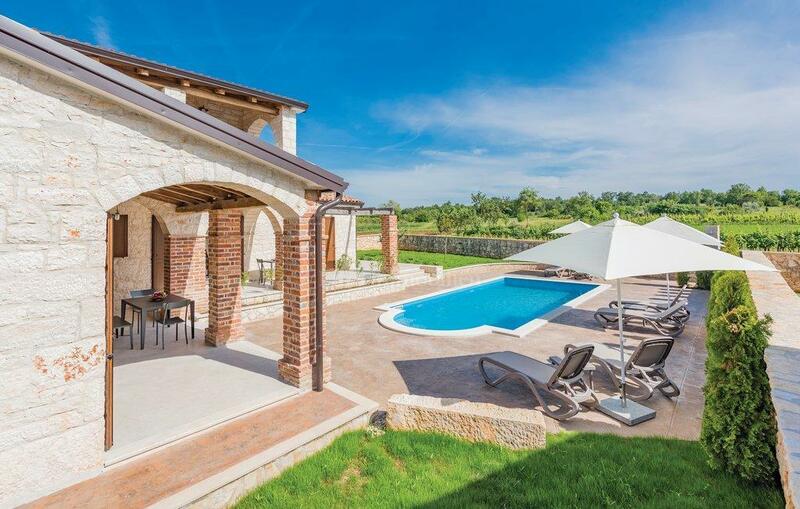 The stone villa is built on a 911 m2 plot and is spread over two floors. 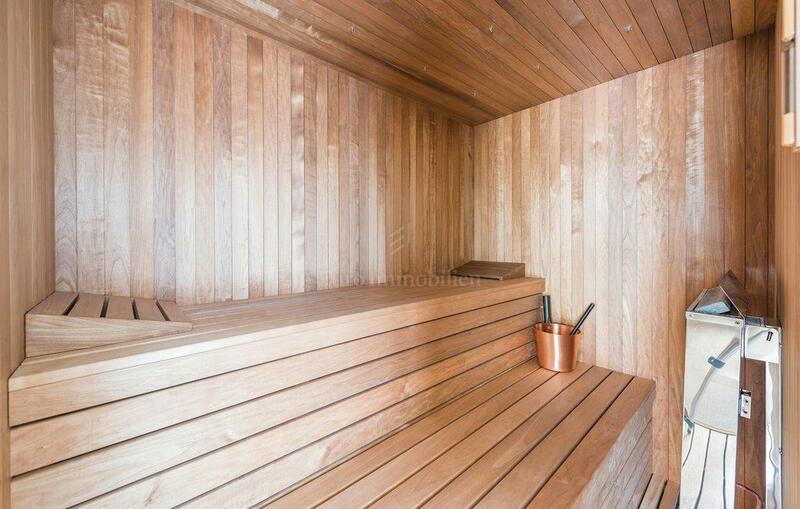 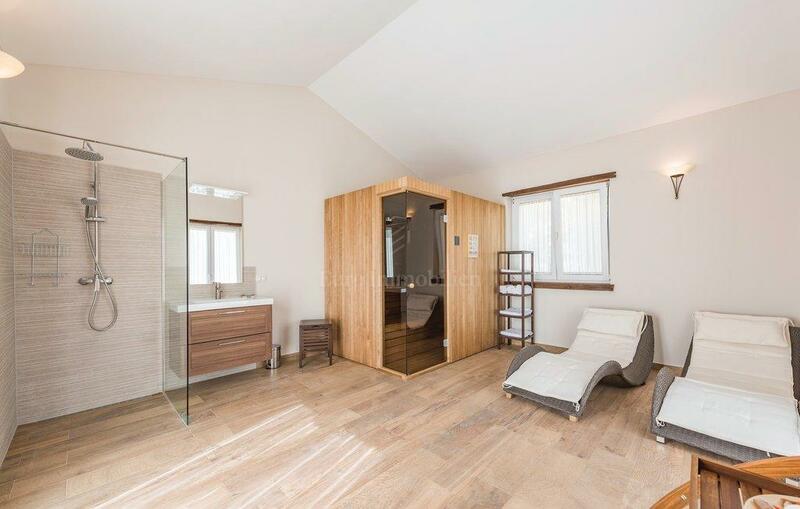 On the ground floor there is a living room with a fireplace, a kitchen and dining area, a bedroom with a private bathroom, and a wellness area with a sauna. 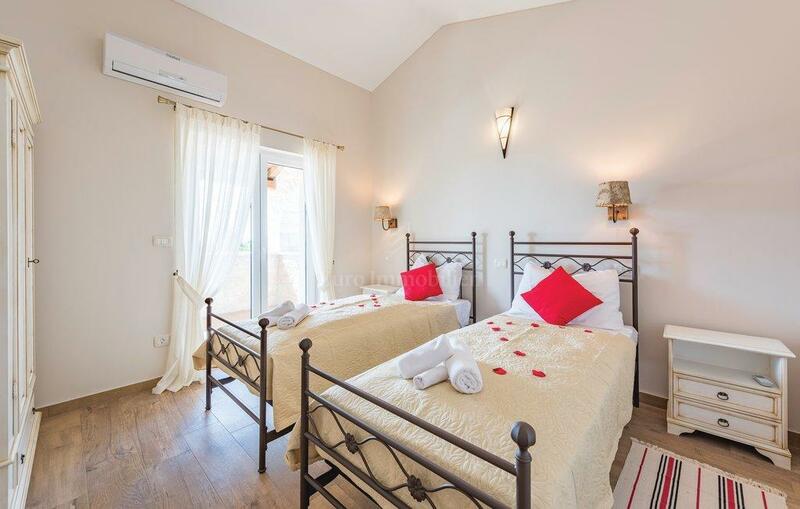 All ground floor rooms have access to the terraces leading to a beautifully landscaped garden with heated pool and sunbathing area. 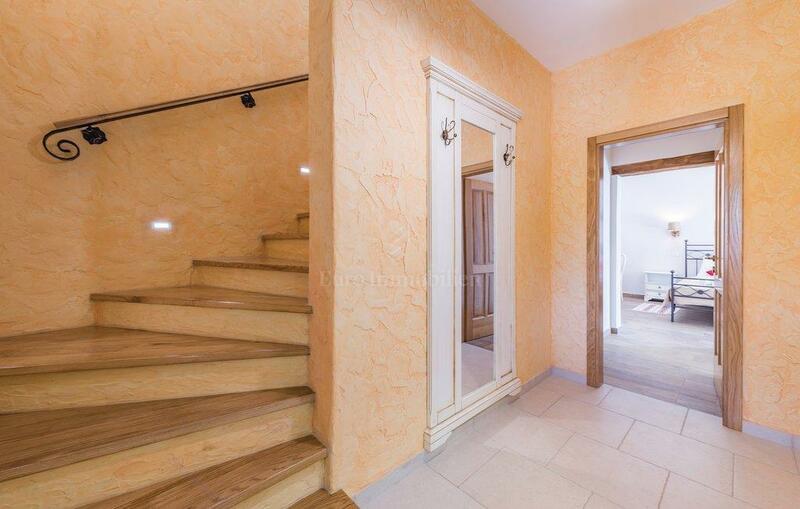 The inner stairs lead to the first floor where there is a bathroom and two bedrooms with balcony access from which a beautiful view of the green surroundings is provided. 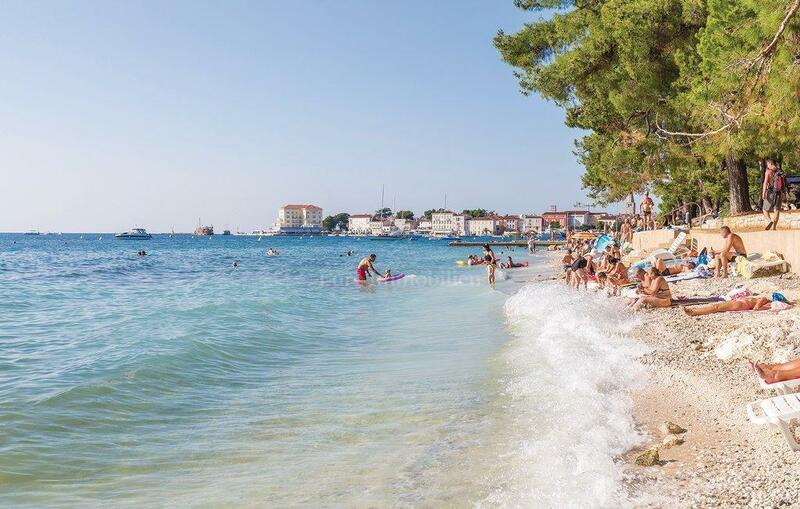 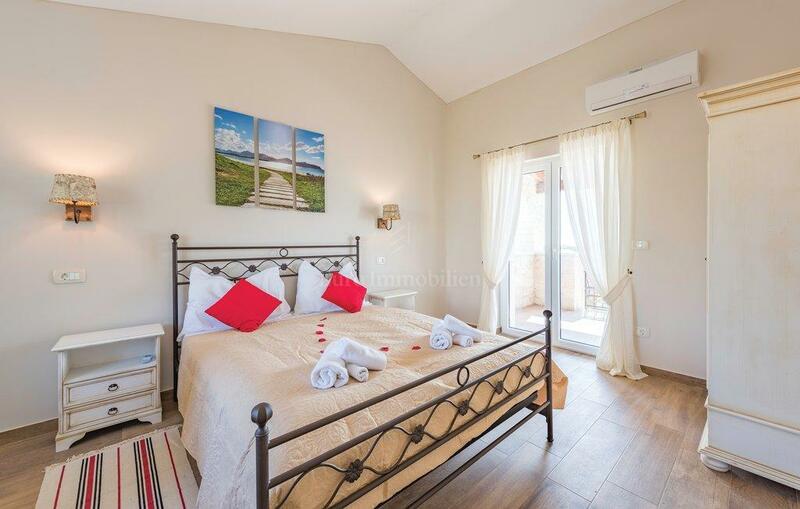 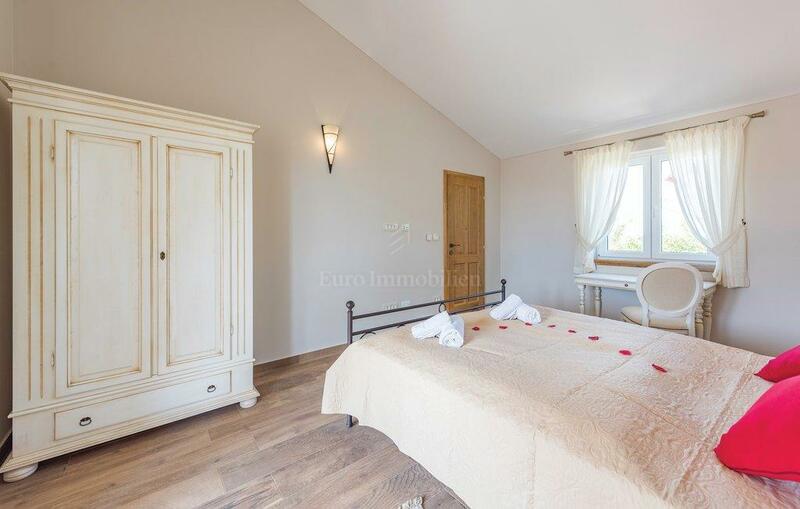 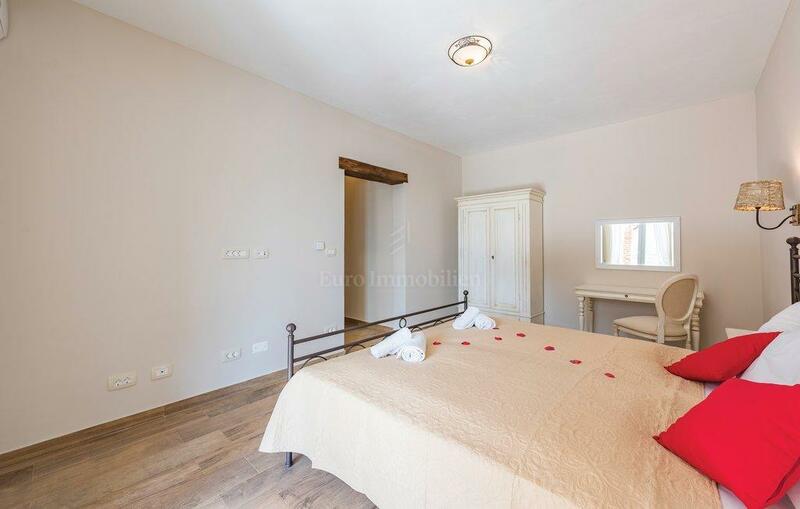 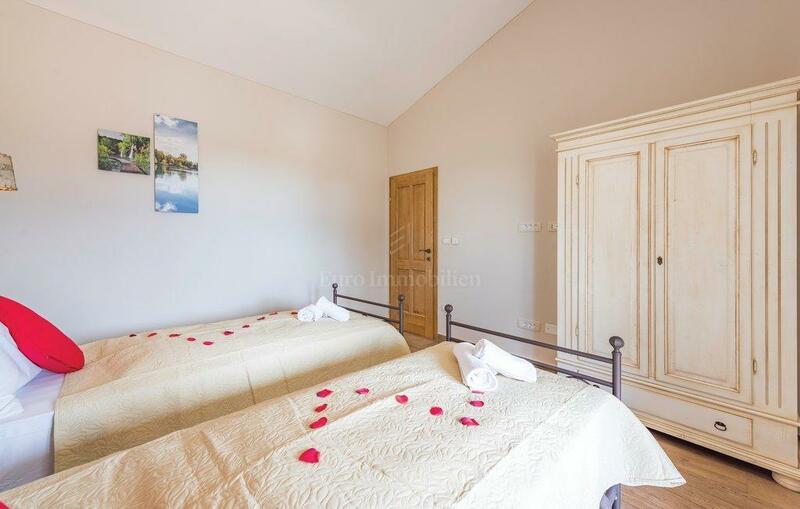 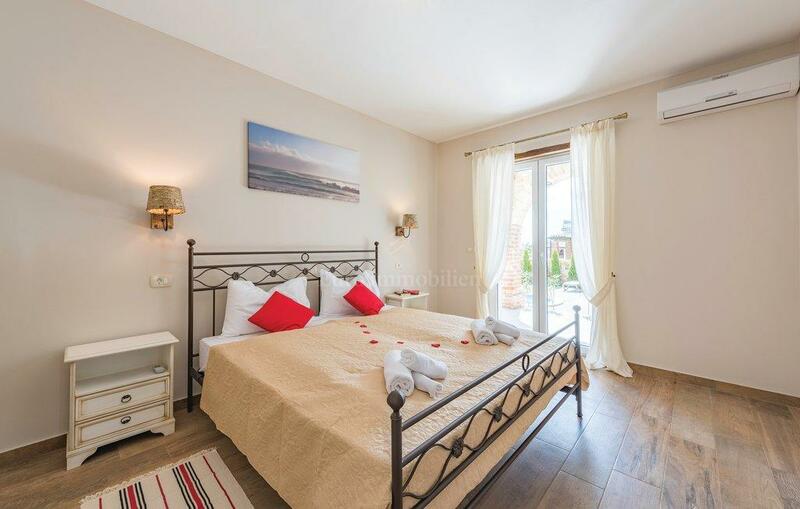 The villa is fully equipped, underfloor heating in all rooms, solar hot water system, air conditioning in each room and alarm and video system installed. 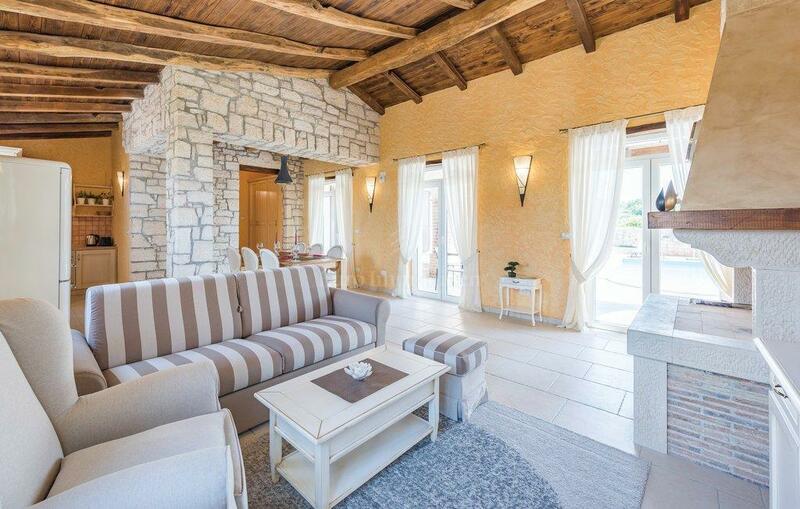 The interior design of the villa is engraved with bright tones with a lot of stone surfaces and wood that create warmth and give a special charm.